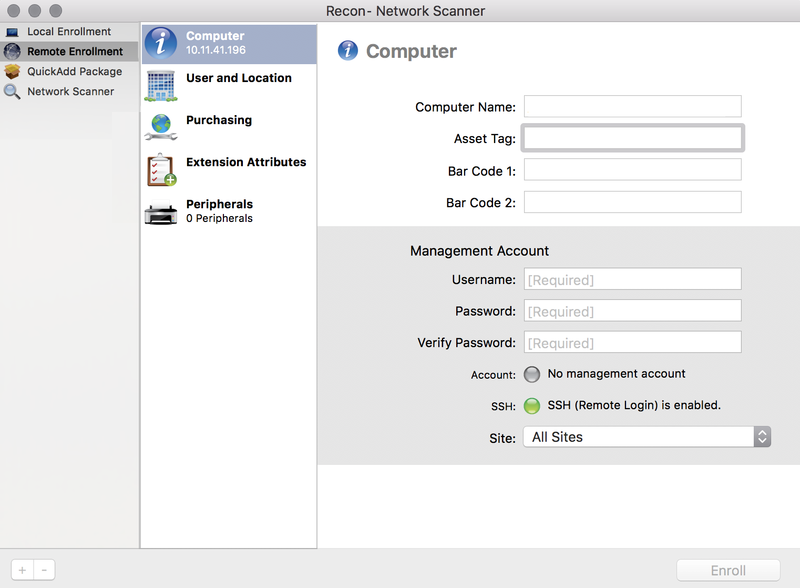 If you know the IP address of the Mac computer you want to enroll and SSH (Remote Login) is enabled on the computer, you can enroll the computer by running Recon remotely. 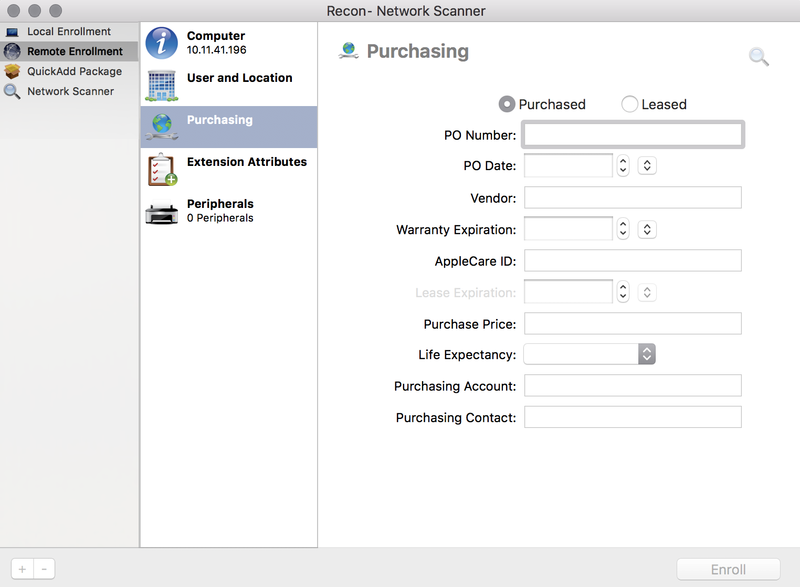 This allows you to submit detailed inventory information for the computer. It also allows you to add computers to a site during enrollment. 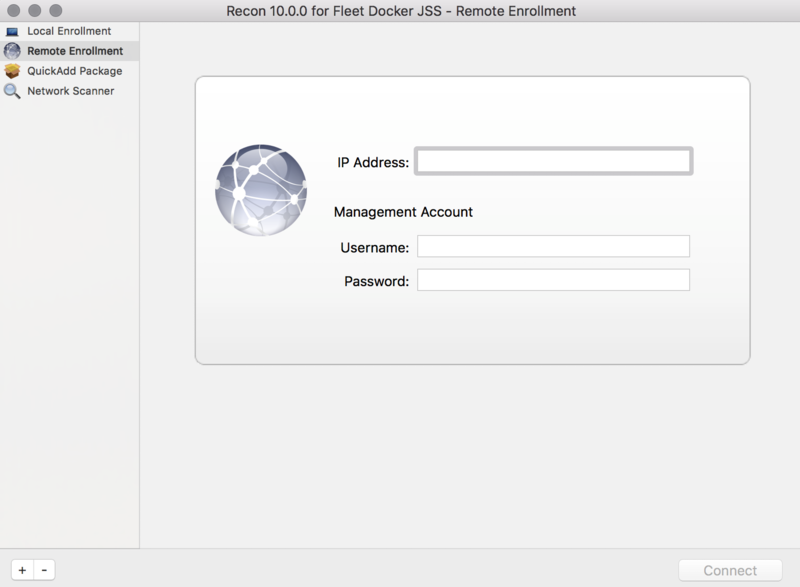 Open Recon and authenticate to the Jamf Pro server. Select Remote Enrollment in the sidebar. Enter the IP address of the computer you want to enroll. Enter credentials for a local administrator account that has SSH access. This account is used as the management account. 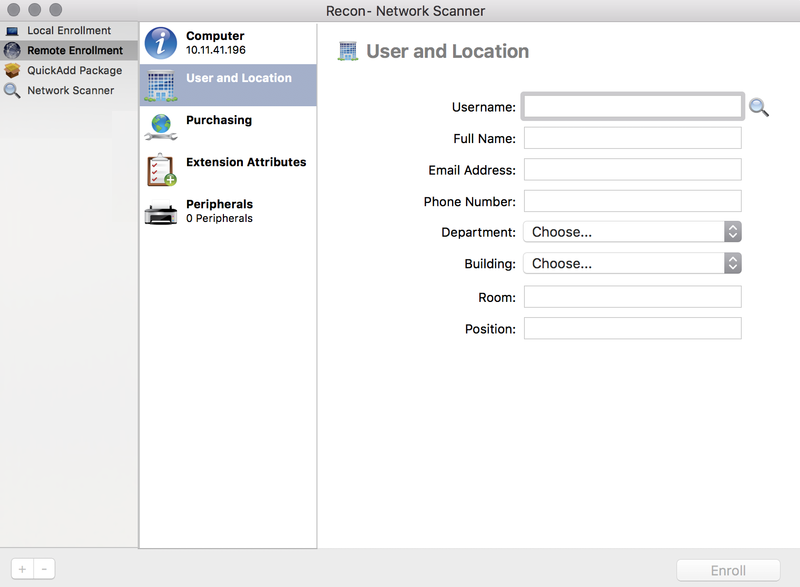 (Optional) Select User and Location and specify user and location information for the computer. If an LDAP server is set up in Jamf Pro, click Search to populate information from the LDAP server. This assigns the user to the computer during enrollment. For more information on setting up an LDAP server, see Integrating with LDAP Directory Services. If you specified a username that matches an existing username in Jamf Pro, the user is assigned to the computer during enrollment. If you specified a username that does not match an existing username in Jamf Pro, the user is created and assigned to the computer during enrollment. (Optional) Select Purchasing and specify purchasing information for the computer. If a GSX connection is set up in Jamf Pro, click Search to populate information from Apple’s Global Service Exchange (GSX). For more information on setting up a GSX connection, see Integrating with GSX. (Optional) Select Extension Attributes and specify information as needed.